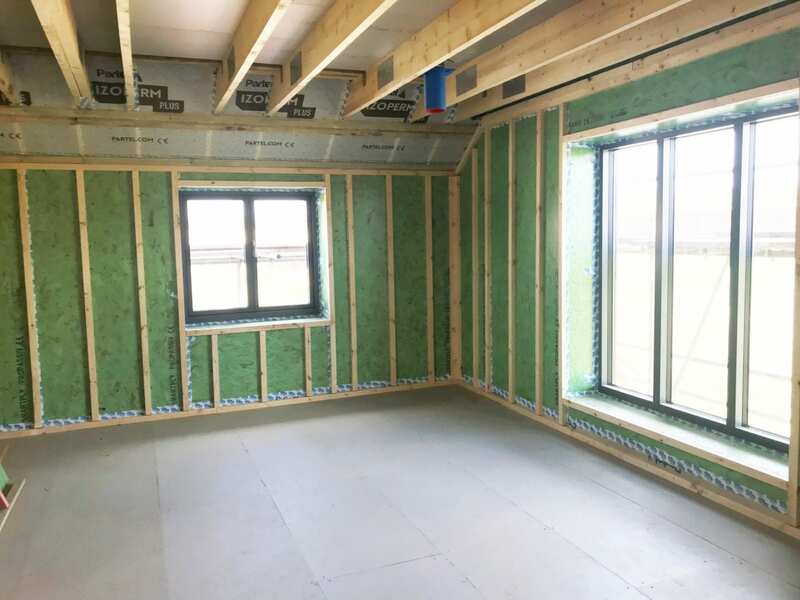 Employing an airtight system with the application of airtight membrane and tape is imperative to achieving the Passive House standard. 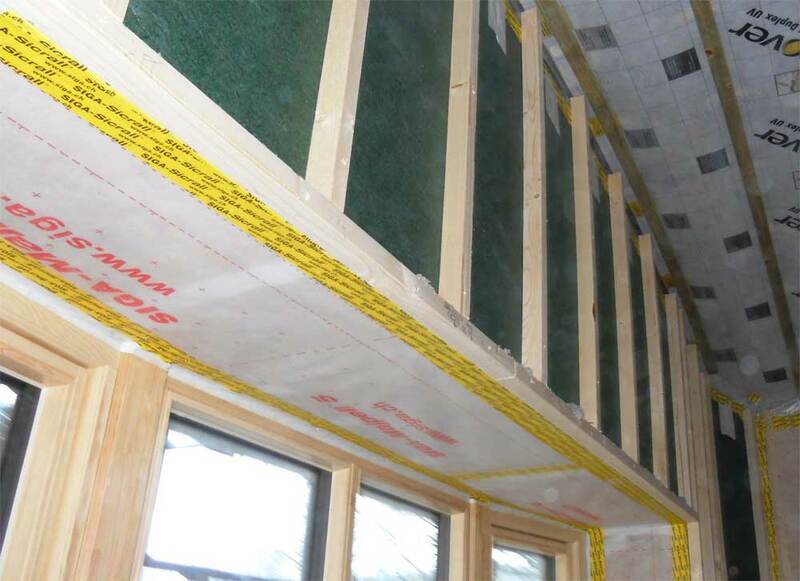 Employing an airtight system with the application of airtight membrane and tape (red) is imperative to achieving the Passive House standard. 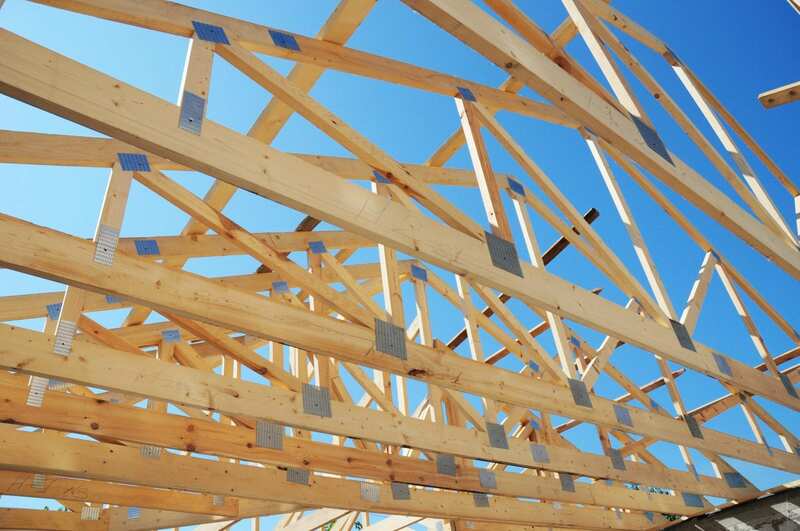 Where there are any gaps, leaks or draughts in the building envelope, uncontrolled amounts of cold external air will infiltrate the building, resulting in masses of heated internal air being lost and hemorrhaging out of the building. 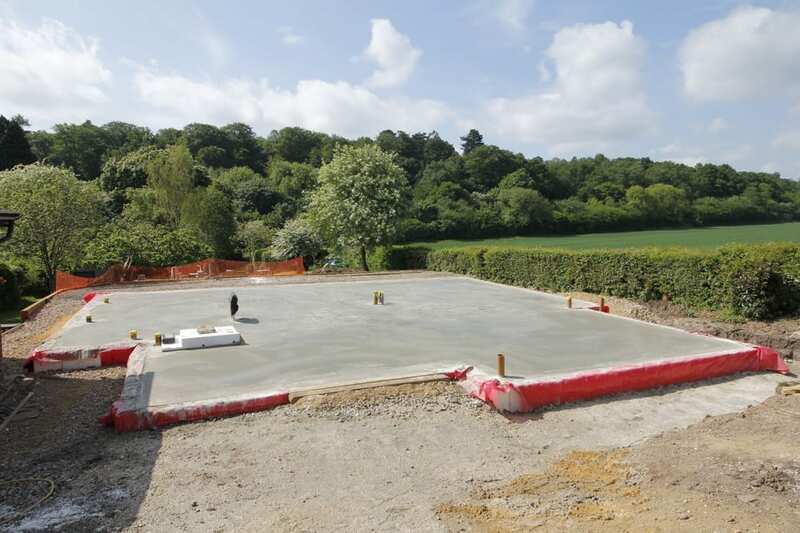 This loss of heat invariably increases a buildings overall energy demand and significantly heightens heating costs. 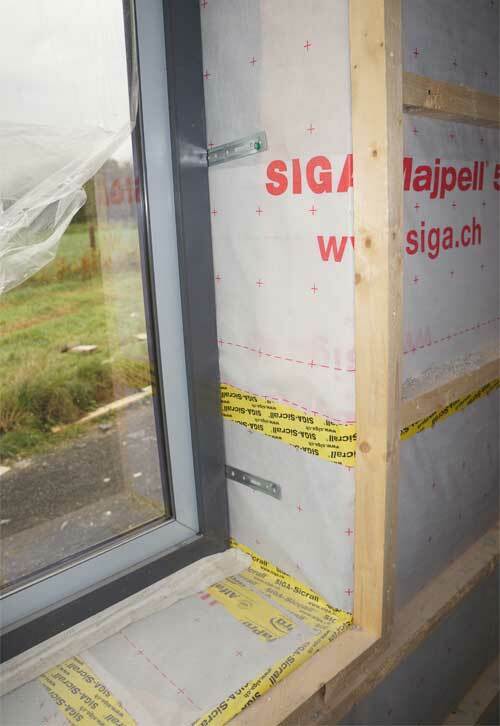 The airtight system is key element of the Passive House system, as it prevents condensation penetrating the structural timber frame, condensation which can lead to corrosion and decay. 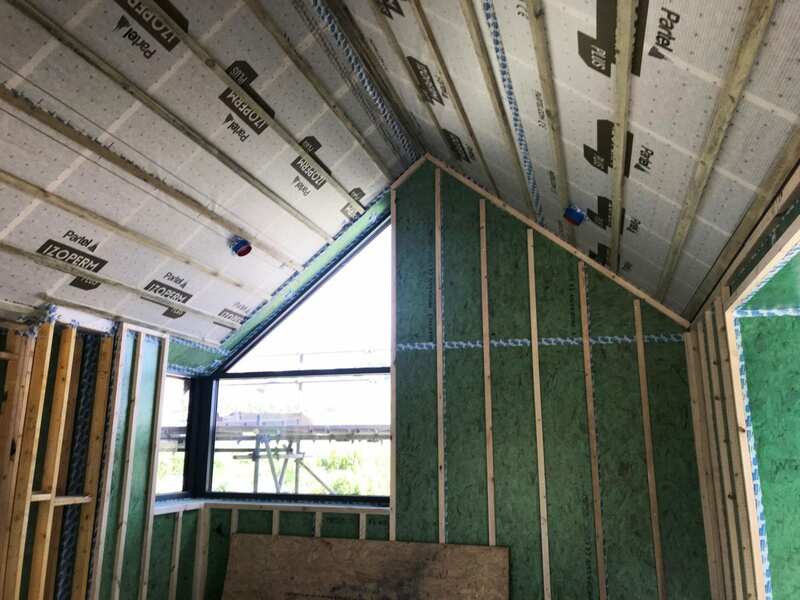 Air tightness is achieved with the careful application of an internal airtight membrane sheeting, which overlaps at joints and junctions, and is sealed with airtight tape. 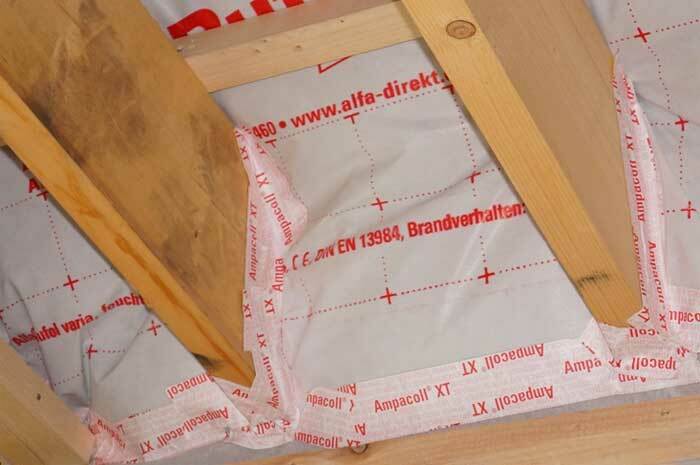 Where elements puncture through the membrane, such as service pipes, ducting, joists and electric cabling, or where there is an opening in the building structure, such as an external door or window, extra care is given when applying the membrane and tape, ensuring the integrity of the airtight system. 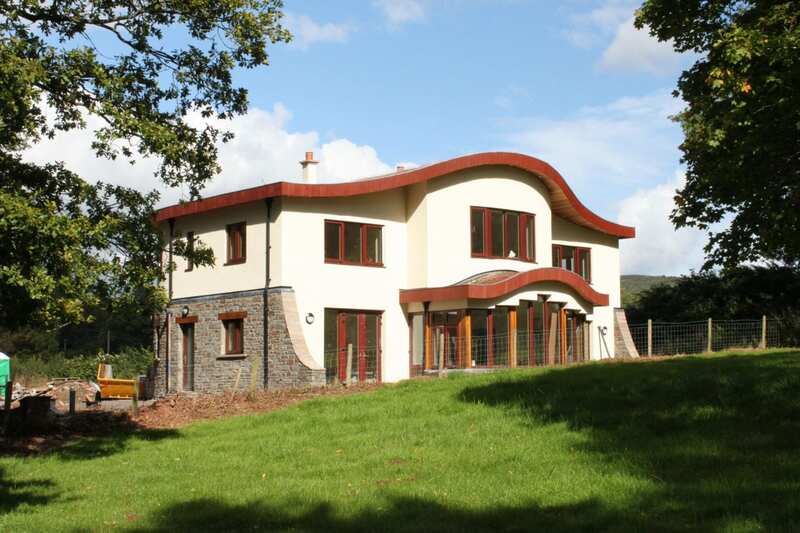 The airtightness of a passive house is tested using the Blower Door Test. 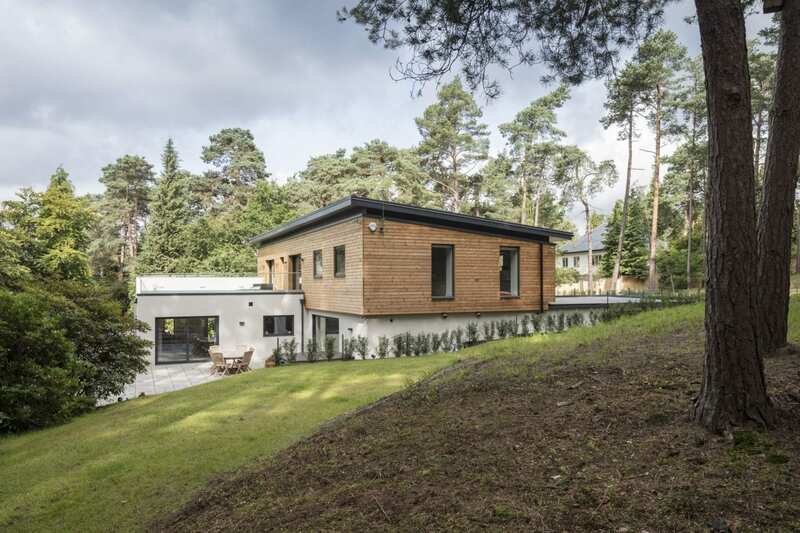 As the Passive House building system is an intentionally airtight structure, and consequently a less ventilated structure, the need for a source of fresh air is apparent. While opening a window does provide a certain amount of ventilation, the building’s heat is quickly lost. To overcome this obstacle, a Heat Recovery Ventilation (HRV) unit is employed to introduce fresh, heated or cooled air into a building, resulting with improved climate control within the building and efficient energy usage. Click here to read more about Heat Recovery Ventilation Units.